This article has content intended to be of interest to the professional home inspector, who uses a sophisticated carbon monoxide (CO) detection meter, and also the consumer. I learned of this means of testing my CO meter from technicians at the factory. I thought that other inspection professionals, who might not be aware of this simple test, would find the information useful. And, of course, regarding other portions of the article, it is important to make consumers aware of the dangers of CO.
CO poisoning can occur when it is least expected. A few months back, my wife's sister, who works at a bakery in Alaska, was overcome by carbon monoxide while working in a defective gas-powered freezer. She survived, having been found down on the floor and just in time, but she went to the hospital for a few days. I had another friend who had a simple consumer CO detector alert or go off. She thought it was a false alarm but took precautions anyway. Surprise, the gas range was putting off seriously high levels of CO. You know it is seriously high levels when the simple consumer CO alarms go off. While the standard consumer quality CO detector (above) is invaluable, and a must, in any home with gas appliances or a wood burning device, these units do not alarm unless substantial levels of CO are present. Unlike a typical smoke alarm, that goes off when smoke is detected, these devices also compare the time-elapsed against the level of CO in the air. The danger presented by CO is impacted by the length of exposure, so the units try to calculate that to some degree. These wall units are like dummy lights in a car: If it goes off, you got a problem unless the device has gone haywire. To test consumer models, use the built-in test button. This should be done regularly, as specified by the instructions that come with your detector. Take a look at the chart below, to see standard guidelines for CO exposure. 12,800ppm... death in 1 to 3 minutes. Now, I wish to explain a procedure that is of interest to home inspectors but not really applicable to most consumers. Many of us, in the inspection business, have expensive carbon monoxide detecting meters. These devices, unlike the simple consumer alarms, are very sensitive to CO levels. The problem is, being instruments, an inspector really needs to know if the device is operating or not. A meter that fails to detect, giving false readings, is worse than having no meter at all! I found, a few years ago, that a professional instrument I was using was not reading CO levels accurately. The sensors are prone to wearing out or being damaged by cold. Many manufacturers suggest that the units be sent in to the factory annually to be checked and/or calibrated. In light of the problem I had, the factory told me how to make sure, on a regular basis, that the unit is sensing CO. Other inspectors might be interested in this simple test. It, at the least, gives you an idea if the meter is working and sensing CO. This method came from technicians at UEI, one of the leading manufacturers. Inspectors: Take a piece of stationary, such as the paper you use at the computer. Roll it up like a rope. Light the end on fire, then blow it out. Put that smoking, smoldering paper under the sensor on the meter. If the meter does not alarm, then you need to send it in to the shop. It should be seeing CO at dangerous levels. This is a ballpark figure, but typically it gives a reading of about 300ppm to 400ppm from that smoking paper. In the past, UEI used to suggest that the same test be done with wooden matches but, apparently, some brands of matches do not give off significant CO levels. So what happens when a professional CO detection meter sees CO? Meters vary but, with mine, it gives a loud audible alarm and a red light flashes. 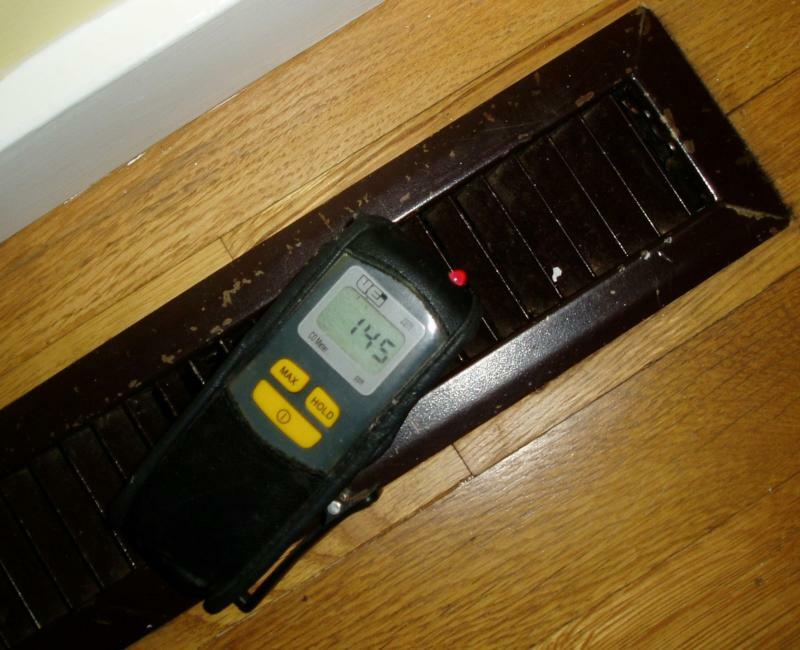 While it is beyond the standards of a home inspection to perform CO testing, some inspectors have such instruments and use them at their discretion. If you are an inspector, and have such an instrument, this is a quick test to find out if your meter is working or if it needs to go into the shop. You do not want to risk having a CO test meter that cannot detect CO when dangerous levels are present on-site. So you two use them, but only when you suspect a serious problem. The last time I had a situation where I suspected, no I knew there was a problem, the tech called me me because he couldn't "see what I was talking about". This is the top of the water heater. Looks veeeery suspicious. The water heater flue was attcahed to the furnace flue and then to the chimney. The furnace was power vented. I think you can figure out the rest. Very surprisingly and fortunately no one died in this house. I would amend that, my procedure, to say that I only use the meter when I am concerned that there might be, specifically, a CO problem. I have used it around water heater and boiler draft hoods too when things were rough looking. Generally, as instructed by an HVAC pro, I put it on the supply register closest to the furnace in the house to get levels where people are most exposed. So far, I have yet to have a house that triggered the meter. Most ratty furnaces do not. I know Charlie had at least one where CO levels were wildly high. He can tell you about that one. I also have a gas sniffer. I have that, in part, for my own protection after one house I was in. Again, not something I flaunt to clients but a hip-pocket tool. The life I save might be my own or my clients or the owner. I have and use very few meters. A gas sniffer would be something I would not want to have. I think if you can smell it, then it's a hazard and you should get out. After all an odor is put into the gas for that reason. I have had a few occasions where there was an odor of gas in the house. The inspection was stopped and the gas company called. I can tell you and Charlie are certainly aware of the arguments against using these meters by your responses. Using them sparingly and without fanfare certainly is the most prudent approach. Best use I have had for the gas sniffer is a friend with a boat borrowed it and found where his leak was. He kept losing fuel. Pinpointed the leak. I know the arguments. I understand some of the logic. I have also discussed it all with my business lawyer, a best friend, and he does not buy some of those arguments. He says most people get in trouble, in court, when they perform under the given or prevailing industry standards, not working above them. But we work with caution, as stated. Much of it gets into the "language" and I work hard at that. Steven, Anyone working below the standards deserves to be in court. At least you got some good use out of your gas sniffer. You must be the guy all your friends call when they have a problem. Inspector gadget to the rescue. 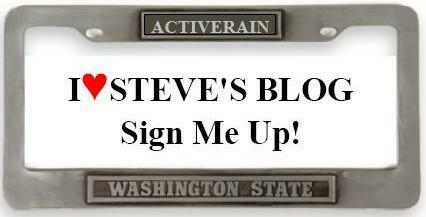 Hi steven, great post a lot of good info for everyone thank you. I am pleased that is was useful to you. "I like my squirrel pickled and tenderized. Keep up the good work Nutsy. That new grill should be in any day." That is a quote from your friend James. And you are telling me that you do not torment Nutsy. I pickled up this quote from one of your comments elsewhere. Where I no longer remembers. I like my squirrel pickled and tenderized. Keep up the good work Nutsy. That new grill should be in any day. Sort of sounds like inspector Gadget to me. This was an excellent post and I will definitely be more informative to my clients. Do you normally recommend a CO detector to them if they don't have one? Robert, Here is a picture of where the two pipes connect to each other and then into the chimney. The larger pipe is obviously the furnace flue which as I said was power vented. When the furnace was run the gases were being pushed out the top of the water heater. James took care of that. Basically, when two units, like a water heater and a furnace or even a boiler share the same vent, you want the one that has the weakest flow in front of the more powerful one in the B-vent. That way, the more powerful one will not, in essence, cut off flow from the other -- might just pushit along. What James described is a very bad situation, the one is destined to mess up the whole system and lead to the exhaust running out the open top, under draft hood, of the water heater. As for CO detectors in general. They are essential in a home with gas or propane appliances including furnace, water heater, dryer or wood burning devices -- wood stove, fireplace, pellet stove or even coal burning. If a home is one hundred percent electric, including the dryer, then it would not be so critical. On the other hand, a combo of the two units, smoke and CO, is cheap and it would not be a bad idea to have a dual unit, just in case an appliance is changed out. I have seen people change something from electric to gas, then have no clue they needed to add a CO detector. I also, once, had a guy call worried to death because he had a CO detector and it went off. Ends up, he had zero appliances that would put out CO. He just had a detector go bonkers and require replacement. By the way, this James guy may be a great inspector but he is also a squirrel-eater, so careful of him. Need I say more? Most of the time they will install a "Y" instead of a "T" at the connection in James's picture. So Charles Y is that? Thank You Gentleman (James, Steven and Charles), I am a better home inspector today than yesterday! Robert, As are we, except for that stewed squirrel Nutsy, he's on a downward spiral. Heeeey...stewed squirrel. Where's my recipe book. James Q, what does a power vented flue look like? Is there a special motor on the exterior of the unit? Robert, The motor is behind the inspection cover inside the furnace. Water heaters can be power vented also. Good picture of the flue problem James. Thanks for filling in guys. I have been out of the office all day.